The very first phase of the portrait session starts long before the first ‘clicks’ of the camera. From the moment you contact me, we will begin working together to create the perfect portrait session for you! The initial contact is generally by phone or email, but we may also end up having an in person planning session. This will help me get a better idea of who you are and what your goals are for your session. Your contract and $200 non-refundable reservation fee are due at time of confirming your session date and time. Reservation fees can be paid with cash, check, or credit card. Payment is due within 48 hours of scheduling your session; otherwise your appointment day and time will be released to other potential clients. Note:Reservation fees are deducted from your order total at your ordering session. They are not an additional fee. 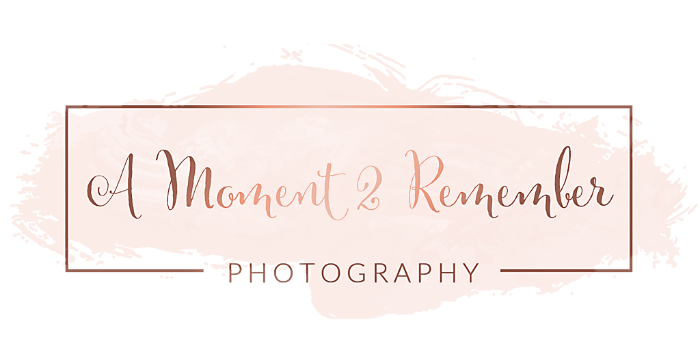 My newborn sessions are primarily held at my studio in Pinckney, Michigan. If weather permits, we may take some outside photos of your sleepy baby, but most times the session is 100% inside my studio where I can control the lighting and environment to ensure a smooth and successful newborn session. I generally photograph my newborn sessions on Monday through Friday with sessions starting around 10 a.m. I like to reserve my weekends for the other types of sessions that I photograph. Outside sessions will begin about 60-90 minutes before the sun sets. For children and families I prefer outdoor sessions. I have a wide variety of fun, creative, beautiful, and unique locations for your outdoor photo session. I am also always scouting for amazing new spots to capture your most cherished memories. When photographing outside, the sun is the dictator of the session time. To utilize the sun when it is at its absolute best, I typically hold outdoor sessions 60-90 minutes before sunset, or what photographers call ‘the golden hour’. During this time of day the sun cascades across the sky with shimmering rays of light that make for warm glowing pictures and beautiful skin tones. Midday sun in extremely harsh and casts very unflattering shadows and generally does not make for beautiful photos. Depending in the time of year, ‘the golden hour’ might be at 3pm or it could be at 7:30pm. As we approach your session, I will let you know the perfect session time for your portraits. About two to three weeks after your portrait session, you will receive an email from me stating that the post processing of your pictures is complete. We will then select a day and time to meet again at my in-home studio to view the beautiful artwork I have created for you from your session. We will also place your order together at this time. I have extensive design experience and I am able to help you choose the pictures and products that will best suite your sense of style. The $200 reservation fee that was paid to secure your session will be deducted from your order total. Final payment is due at this time. My full sessions are broken down in to three easy payments. 1. The Reservation Fee: Reservation fees are $200 and are due within 48 hours of booking a session with me. The reservation fee is deducted from your final balance at your ordering session and is non-refundable. 2. Session Fee: Session fees are due at the start of your session and do not come with any products, collections, or digital files. My session fees start at $195 and go up from there depending on the type of session. Session fees are non-refundable. 3. The Ordering Session Balance: About 2-4 weeks after your session has been completed we will meet at my in-home studio to view your pictures and place an order. The reservation fee is deducted from the balance and the remaining total is DUE IN FULL at that time. If payment cannot be made in full, a 15% fee will be added to the order total before and products or packages are ordered and delivered. All sessions are required to create their own package from my 'create your own package' page and MUST choose one item from category 'a' and MUST choose at least one other item from the remaining 3 categories (b,c,& d). Please note that custom created packages will start at around $750 with my average client investing about $1400. Payments can be made in form of check, cash, or credit card. Please be aware that if you elect to use a credit or debit card for payment, a 3% convenience fee will be added to all payments over $200.